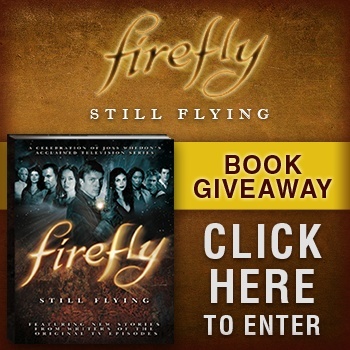 We have copies of Firefly: Still Flying: A Celebration of Joss Whedon's Acclaimed TV Series to give away for those who can answer our Firefly and A Good Knight's Quest quiz! Set 500 years in the future, Firefly centres around Mal Reynolds, captain of the ship-for-hire Serenity and its eclectic crew of galactic misfits. Firefly: Still Flying is the third official companion to the much-loved cult TV show and is packed with unseen photos, costume designs, behind-the-scenes secrets and much more, including brand-new Firefly short stories by the show's writers! Even better, The Escapist has three copies of Firefly: Still Flying: A Celebration of Joss Whedon's Acclaimed TV Series to give away! It's not just as easy as putting in your name, though. You must complete a 10 question quiz about Firefly and The Escapist's own A Good Knight's Quest! Click here to get started and good luck!